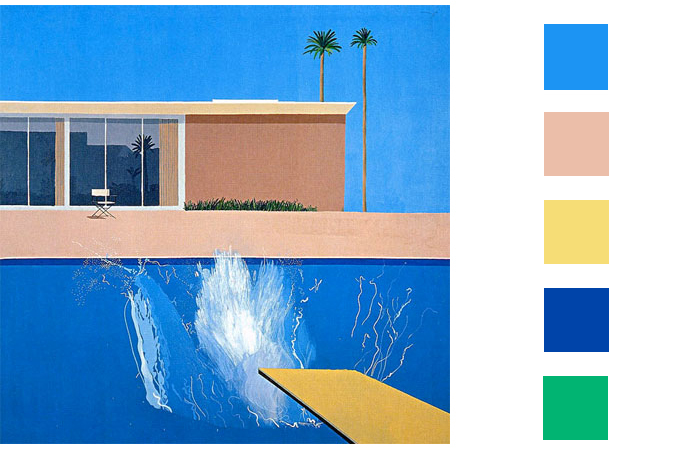 David Hockney, one of the most popular and influential British artists of the twentieth century returned to Tate Britain for his most comprehensive exhibition yet, as in 2018 he approaches his 80th birthday. This exhibition gathered together an extensive selection of artist’s most famous works celebrating his achievements in painting, drawing, print, photography and video across six decades. David Hockney’s Tate Britain retrospective has become the gallery’s most successful exhibition, seen by almost 500,000 visitors. The work of Britain most famous living artist proved so popular, the gallery had to open until midnight on the final three days of the 16 week long exhibition to meet demands. 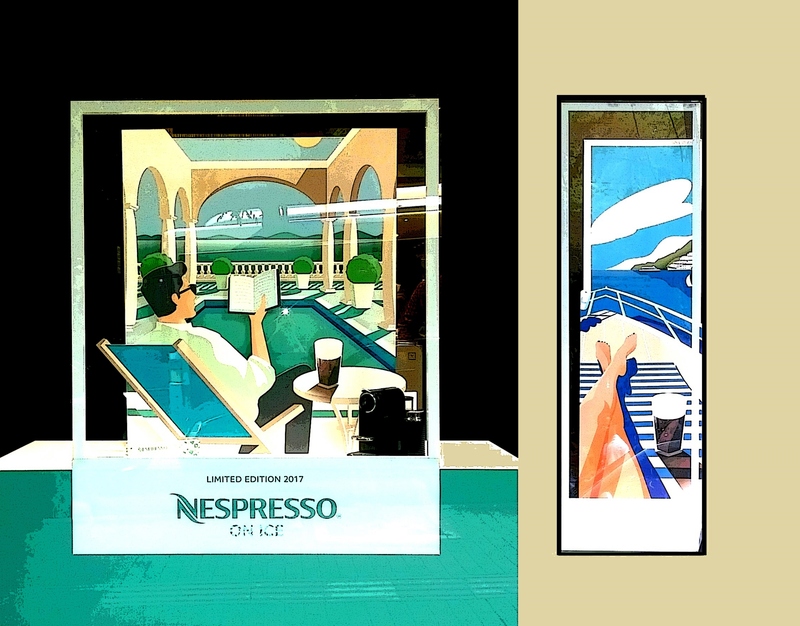 So it is really possible that Nespresso released such window designs, being in line with such a great phenomenon. 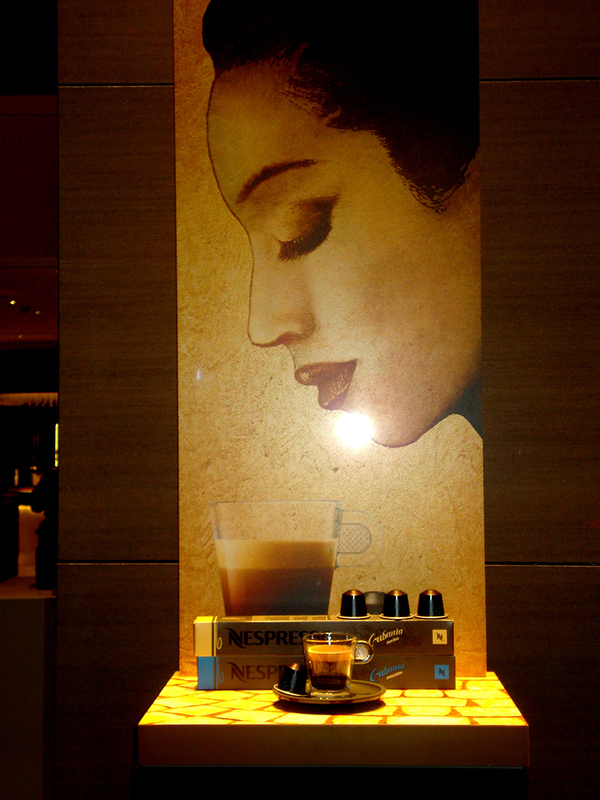 In any case, we really liked the visual interpretation. (In case you missed the show, it can now be seen at the Centre Pompidou Paris from 21 June to 23 October 2017).